Among small businesses, load shedding produces some winners and many losers. The playing field is hardly even when there are power cuts, which are becoming another element in the push towards malls and large franchises at the cost of stand-alone shops and restaurants. In the Mall of Africa this week business was booming. “You do see an uptick in business during load shedding,” said the owner of a coffee shop. Restaurants and retailers in the centre were full, enjoying 100% backup power. Big franchises were among those reaping the rewards. McDonald’s had 141 of its 200-odd outlets nationwide running on backup power during blackouts and snaking queues could be seen at their drive-throughs, as well as at those places such as KFC this week. For small businesses a generator can make all the difference. At a small retail node in the Johannesburg suburb of Craighall this week one restaurant was fully booked during a blackout. A generator allowed the lights to stay on with almost the entire menu still available. But right next door a coffee shop was closing up for the day. Proprietor Simon Phiwe bought a power inverter, which can generate power from batteries, but it could provide only six hours of power and didn’t necessarily charge fully between blackouts. “It’s at 2% and without power you can’t run the coffee machines,” he said. “We are losing a lot of business. I won’t close. If this goes on for months we’ll go old school and use plungers,” he said. A well-known nearby video store –dealing in hard-to-find films from around the world – had a a noisy generator standing outside. Manager Steve Hugo said it cost R150 a day to run it. Elsewhere in the centre a hair salon was in darkness, with the only employee on site lounging on a sofa, looking bored. Down the same road a similar small strip mall had the opposite experience. It had a central generator for all tenants and business was carrying on as usual. Its hair salon was full, but the owner said the business as a whole, with less-lucky outlets elsewhere, was suffering. “A nearby branch has no backup power and sends its clients over here,” she said. In nearby Linden some restaurants were open and others closed. One running on a small generator cooked on gas and was unable to make only about 10% of its menu, said manager Brian Goromondo. “The neighbours complain about the noise,” he said, referring to the generator that was keeping a fan, music, lights and the electronic pay points going. “Smaller firms ... are more vulnerable than big businesses as they are not in a position to spend on alternative sources of energy to get through periods of load shedding,” the Small Business Institute (SBI) told City Press. 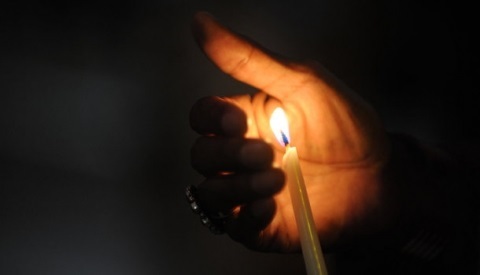 “Our members have been sharing painful stories of the effects of load shedding on their businesses, customers and employees,” said SBI’s executive director, Bernard Swanepoel. “Worse, we are concerned that there seems to be no clarity on when we will see the end of load shedding. “Some energy experts are predicting this situation will persist for the next five years. “Short-term solutions could include sharing off-grid power with smaller firms in the same area,” he said.